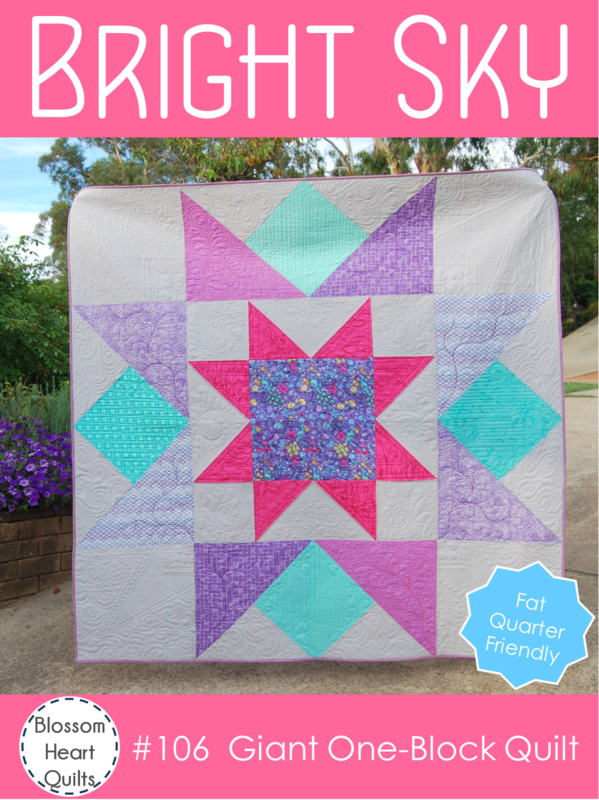 Yay, it's my turn to share my Bright Sky quilt with you guys! 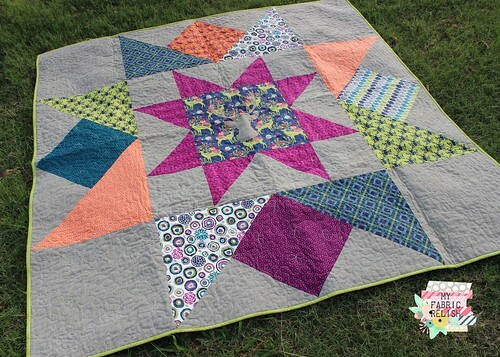 Let me just say this quilt goes together fast!! 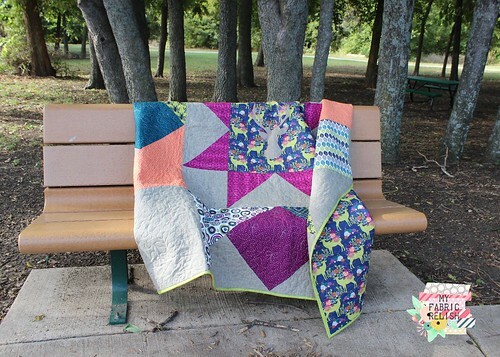 I probably spent more time picking out the fabrics and choosing placement then the actual piecing. Ha! 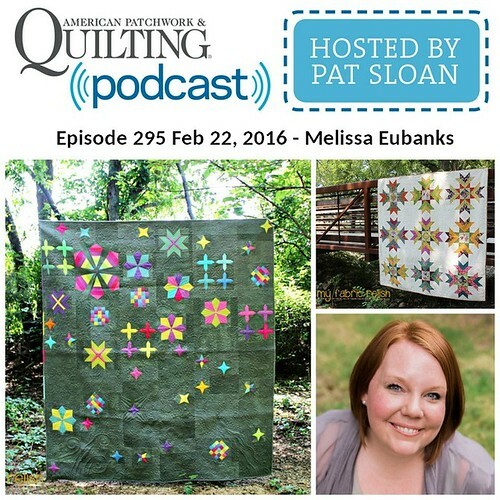 This week of the QAL, Alyce of Blossom Heart Quilts (BHQ), is talking about tips on making the outer star. I will have to agree that anytime you sew on the bias you deal with a lot of stretch. I decided to do Option B cutting with having the bias on the seams. It worked out just fine and basting went very smoothly. 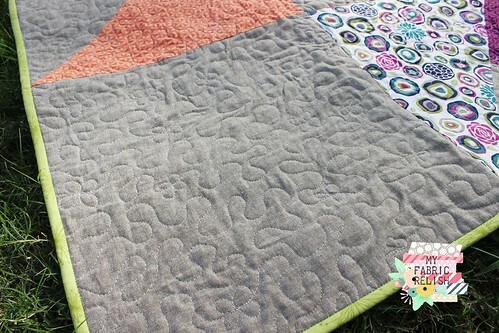 I would recommend trimming up your blocks before piecing the quilt. I had a one or two points get a little lost. Pinning and starch also helps with any excessive stretch. 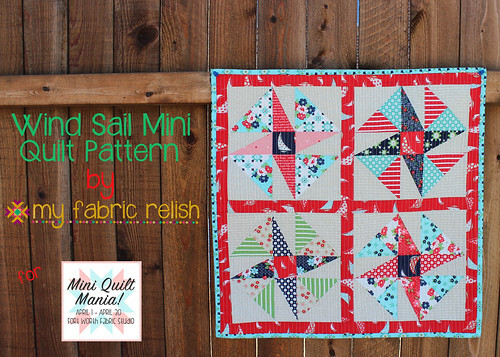 I decided to use the lovely Rustique collection by Emily Herrick for Michael Miller. I fell in love with the deers in this print and the beautiful, bight colors that give it a modern fall feel. The background is Olive Essex Linen which is really hard to find but is this weird (in a good way) silvery/grey with a little subtle olive green. I wish I had more! 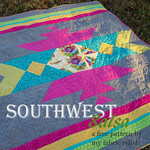 It's a nice change from the Essex black or linen and plays well with the other vibrant colors. So, last week, Alyce challenged everyone to add something extra for the center square. Luckily, I was one step ahead and was thinking the same thing! 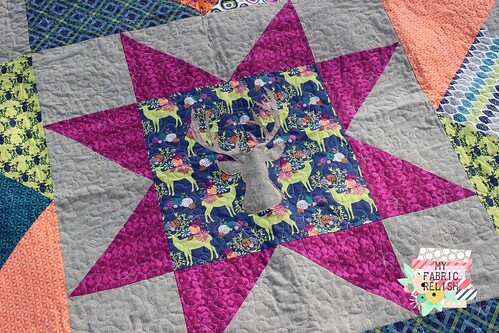 I almost went with a paper pieced star but really loved the deers in the fabric and took inspiration from Emily's awesome pattern, Big Game, so I decided to add a raw appliqued deer head. It's pretty subtle, I hope. ;) I just found an image on the internet that I liked and enlarged it. I did adjust the antlers a bit as well to my taste and raw edge appliqued it on with pink thread. I did 4 overlapping stitches so I know that bad boy won't come off! I washed it right after the photoshoot and it fluffed and frayed up nicely. I'm pretty sure all the mom's at the park thought I was weird taking pictures of a quilt but at least I brought the kids and Mr. Relish with me...so I can make sure we look crazy as a family! 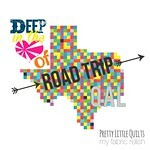 They are my quilty beard, after all. Hehe!! For the quilting I just did a some stippling with flowers/butterflies thrown in. 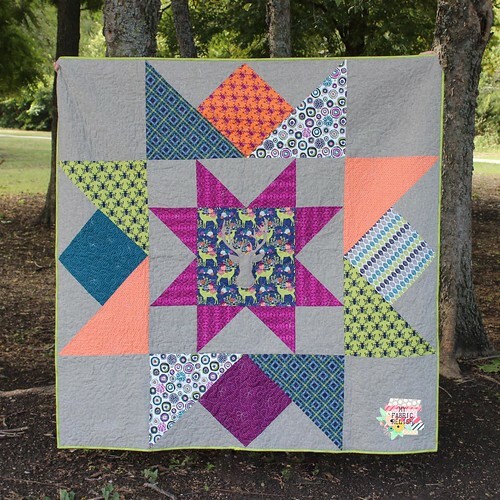 This was fun to quilt up! Oh, and of course there's lots of prizes! 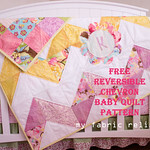 Be sure to see all the goodies you have the chance to win at Blossom Heart Quilts! 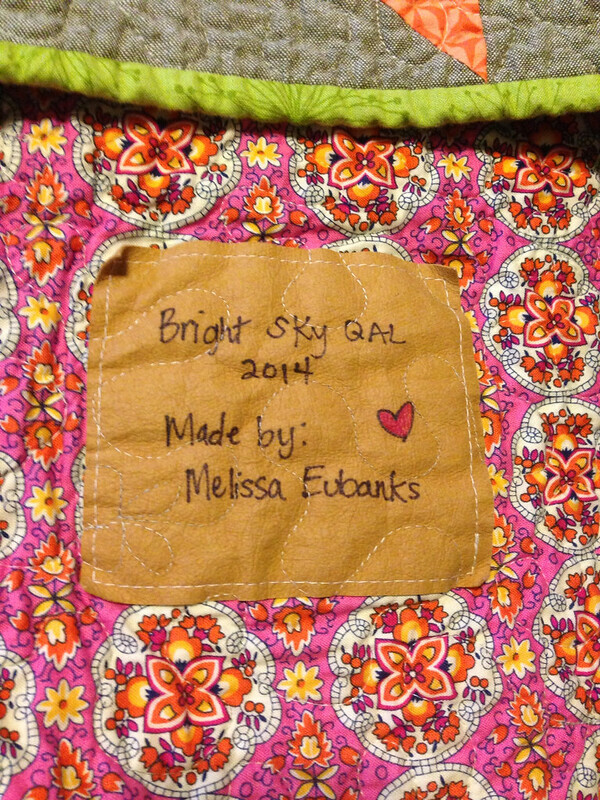 And, if you are on Instagram (I'm myfabricrelish) be sure to tag your progress with #brightskyquilt! Ok, guys, this stuff is cool. You know those labels on the back of Levi jeans? Well you can actually buy it. It's called KraftTex and it magically washes up and behaves a little like leather! There is also a fun new book out to give you some inspiration for uses, KraftTex Style. 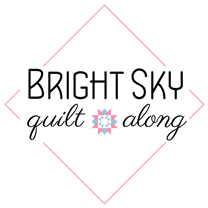 Here is my Pinterest board for other ideas. Thanks again for the visit! If you are new here, I would love to have you back! Have a great week!! I love the way those colors pop against the olive background - I'll have to try that. I like the addition of the deer in your center square, very cool! very nice, I am not brave enough to use anything but white for the neutral background colours, but I love yours!! its brilliant! Love your colour selection and the deer is a fun addition. This is so pretty! 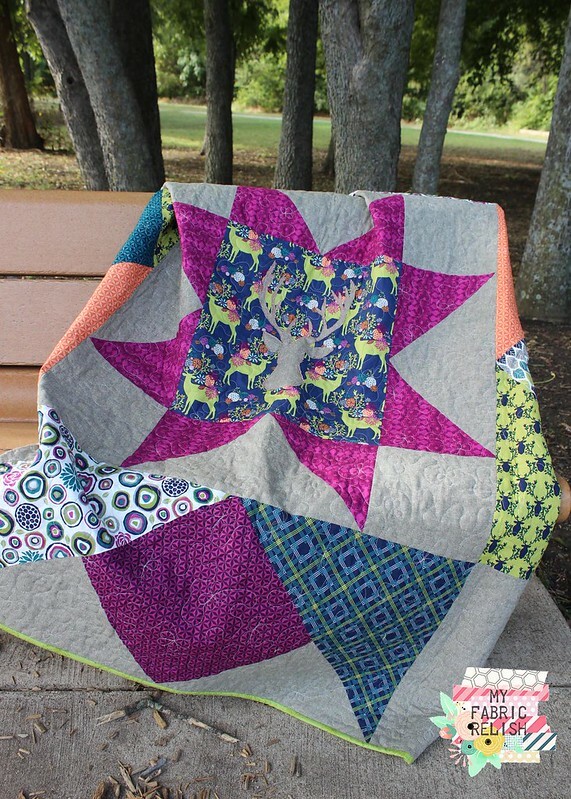 I love how you used the central fabric on the front as your backing. The lime binding is the icing on the cake for a beautiful finish. This came out so cute Melissa! I love the fabrics you used with the gray. Perfect! You know how much I love this already, but I figured I had better comment as such too, haha!! Thanks so much for your beautiful work!! It looks great! Nice trophy addition. Urban Spools NEEDS Your Vote! 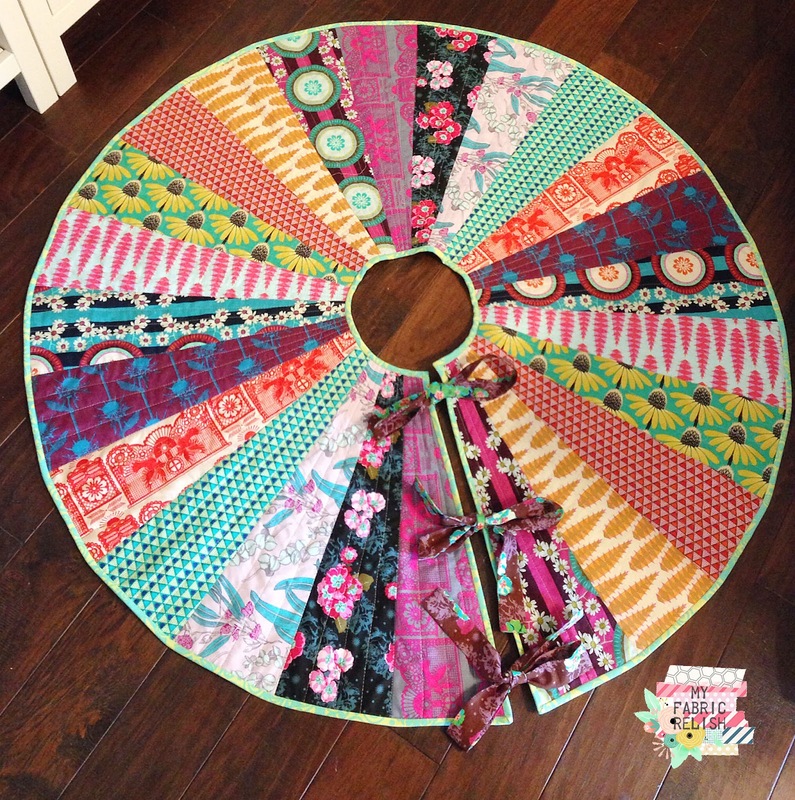 The Perfect Oven Mitt and a GIVEAWAY!